Even though Christmas isn't a public holiday in Hong Kong, it is still a time of celebration and enjoyment. With such a large population of expatriates, as well as many individuals that inhabited the island nation during British rule before 1997, there are plenty of existing Christmas services and ceremonies. Christmas cards are often constructed using Chinese craft techniques and sent between friends and colleagues, as well as nativity scenes placed throughout the city. Father Christmas is known as 'Sing Daan Lou Yan' literally translated to mean Christmas old man, and every year there is a 'Winter Fest', which runs from the beginning of December until New Year's Day. This chilly time of year has rides, attractions, and food shops throughout the city, as well as huge light shows across many of the skyscrapers. 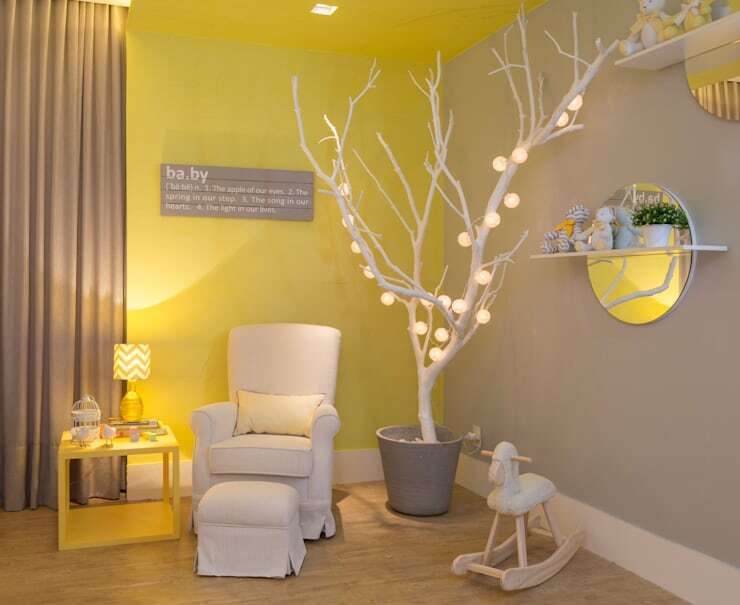 To get you in the Christmas spirit for 2015, we here at homify have collated 6 items that we like to DIY each season. From advent calendars to front door wreaths, we have got you covered with brilliant budget friendly ideas. 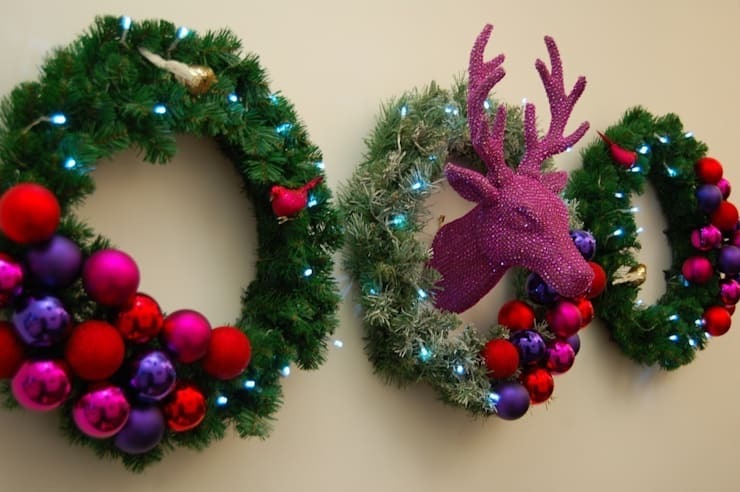 Check out the examples below, and get creative this Christmas season! Christmas is all about the festivity and the connection, and a huge element of that comes down to the way you decorate your home. The traditional Christmas tree, above all, remains the centerpiece of the annual celebration. However, being in Hong Kong presents its challenges, and your chances of tracking down a lush green fir or pine tree are probably not too great. Not to worry: who said you needed a traditional Christmas tree anyway? In recent years, Christmas celebrators have baulked the traditional approach for far more unique, creative methods—not just in Hong Kong and the surrounding region, but all over the world. Here's a fantastic example of what can be done with a little forethought and ingenuity: simply pot a large tree branch or cutting, spraypaint it white (or your choice of tone), adorn it with festive lanterns and voila!—not merely a rustic, contemporary homage to the Christmas trees of old, but a multi-purpose decoration that, in this case, works as a wonderfully enchanting addition to the children's room too. It doesn't matter where you are in the world, the wintery spirit of Christmas persists in the mythology of the celebration. 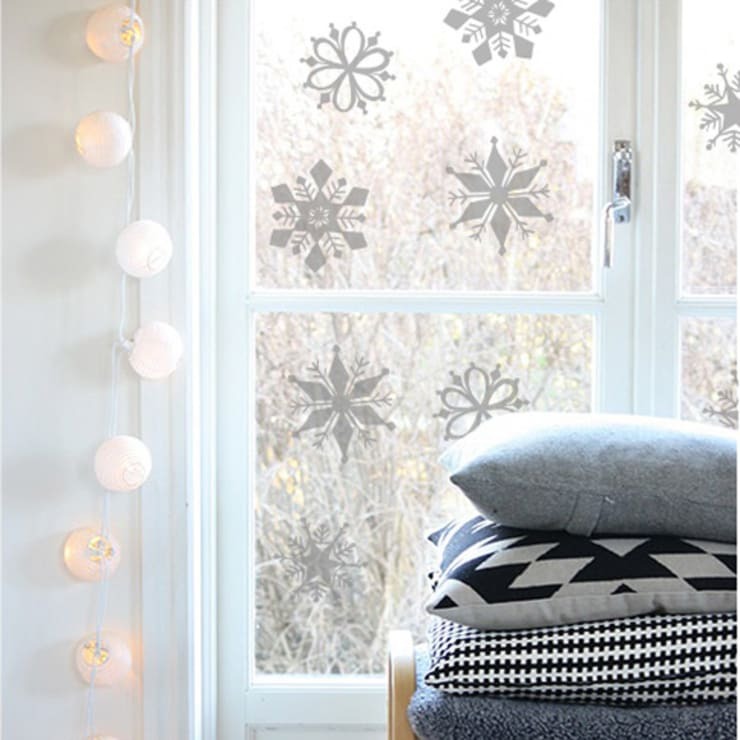 Snowflakes and geometric patterning, either hanging on strings, or with stencils spray-painted directly onto bright windows, makes a stunning addition to your home's Christmas spirit. Get your craft hat on, take some time to relax as the festive time approaches, and whip up some of these fantastic shapes. All you need then is a little luminescence: here, a hanging row of lanterns works with the patterns to create a warm, joyous Christmas mood. Consider also decorating your own lanterns, or mixing it up with different coloured bulbs and tones. One of the best parts about Christmas (if not the best) is the way we unite with family and friends over a spread of good food and drink. Whether this year's celebrations are at yours, your relatives or your friends homes, when it comes to making the shared Christmas meal that little bit extra festive, dining table decorations are a must. 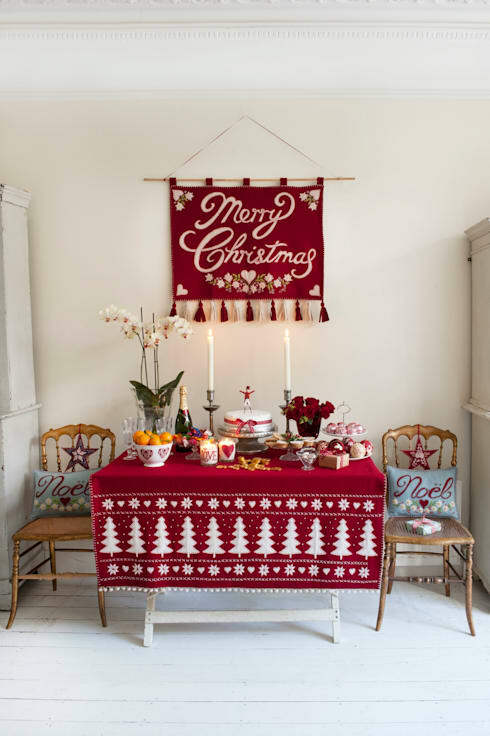 A lavish festive feast awaits in this cosy example: a table full of sweet and savoury treats cloaked in bright and cheerful traditional decorations. Simply throw over a wintery red Christmas tablecloth, some cursive Christmas slogans embroidered and hung via a stylish wall tapestry, a few neat seat festive cushions, and that Christmas lunch of yours can't help but feel extra special. Given that Christmas is a time of sharing, why not declare your love of the festive season by showing it off and sharing it with your whole neighbourhood? Interior decorations are the starting point, but external additions complete the picture. Consider combining your interior Christmas feel with some festive outdoor accoutrements, starting with the all-important wreath on your front door. A symbol of growth and everlasting life, the wreath is a classic Christmas season addition, and an effortless one at that. While the purists might prefer something plain, green and classic, there's always room to move: here, we see a delightfully playful coloured bauble-adorned selection of wreaths, replete with novelty reindeer motif in the centre. Get a little creative, pick, choose and design a unique wreath that reflects your own take on the festive season. Whether Santa Claus makes the trek all the way to Hong Kong on time or not this year shouldn't deter you from hanging up some stylish gift stockings. Stockings are one of the most classic Christmas decorations, and they'll add extra zest to the rest of the spark in your festive home. There are plenty of unique options you can choose from: like this neat trio, hanging patiently on the wall waiting to be filled with treats and treasures. 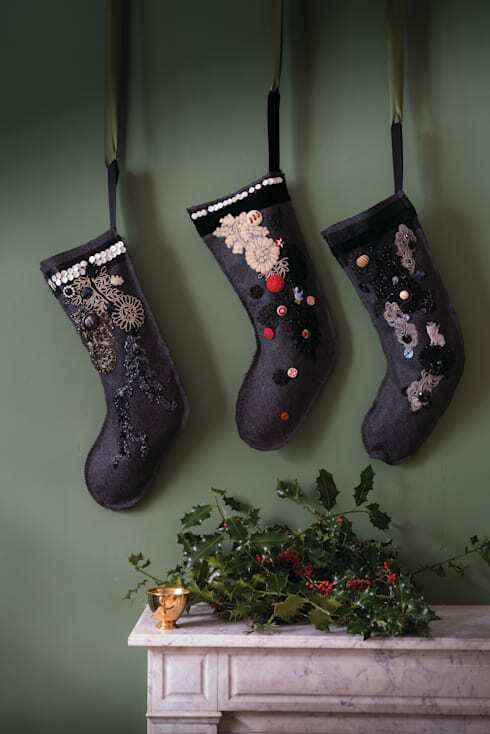 With fabrics in abundance out there just waiting to be fashioned into fabulously festive stockings, consider getting that creative energy going by sewing your very own special stockings for the family. Of course, if they're for the kids, bigger is always better! Remember, if you're having interior decor issues, you can always call upon a professional to lend a helping hand! Let the countdown begin with an advent calendar. Speaking of that DIY (do it yourself) vibe, here's another fantastic thing you can make yourself that won't cost much or take long, but will look fantastic in your home and keep the kids happy too: the humble advent calendar, a lovely festive addition to any Christmas décor. 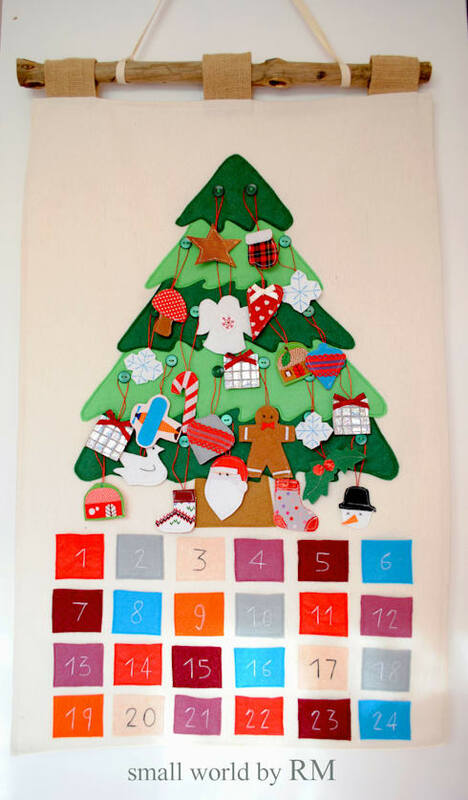 This sort of advent calendar makes a great alternative to those sugary sweet chocolate varieties you often see in supermarkets—sure, they're fun for the kids, but this loses little of the appeal, and keeps that sugary intake to a minimum too. Festive and fabulous: the way every Christmas should be, for adults and children alike. Do you have any other DIY ideas for our readers? If you do, put them in the comments below!